Butler: Larry E. Ruch, age 85 of Rockwood, MI. passed away peacefully April 8, 2019. He was born on November 4, 1933 in Ft. Wayne, IN to the late Glen and Bernice Ruch. He was the loving husband of Saranell Ruch and previously the late Iretta Ruch. Dear father of Patrick (Amy) Ruch of Flat Rock, MI., Gregory (Merrilyn) Ruch of Carleton, MI. and the late Michael Ruch. Proud grandfather of 5 grandchildren and 5 great-grandchildren. Also surviving is one sister; Nancy Moore of Butler, IN. Stepchildren; Terri (Rick) Underhill, Randy Dickey, Joni Duncan, 4 step grandchildren, and 2 step great-grandchildren. Larry retired from Ford Motor Co. Woodhaven Stamping Plant in Woodhaven, MI. He loved spending time on his tractor, doing yard work, and attending auctions. He was a graduate of Butler High School Class of 1952. He was preceded in death by his parents, first wife, 1 son and 1 brother-in-law, Larry Moore. 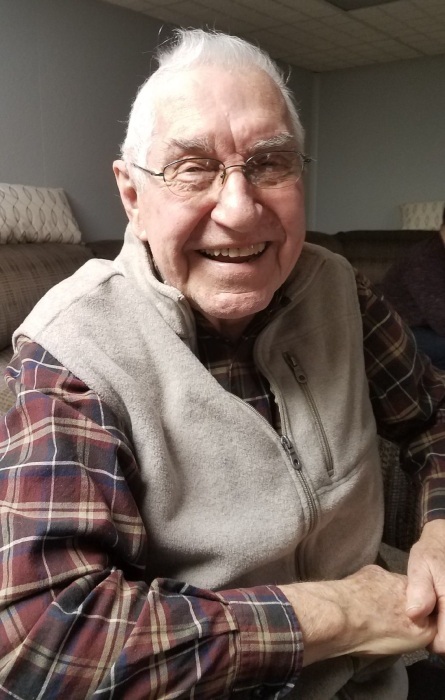 Visitation for Larry Ruch will be held on Sunday, April 14, 2019 at H.E. Johnson & Sons Funeral Home, 212 N. Broadway, Butler from 12-3pm. with graveside services immediately following visitation at the Butler Cemetery officiated by Scott Lanning of Butler Church of Christ. H.E. Johnson & Sons Funeral Home of Butler are handling the local arrangements.